The weather was perfect, the venue was perfect, the trainer was perfect and so were the participants. 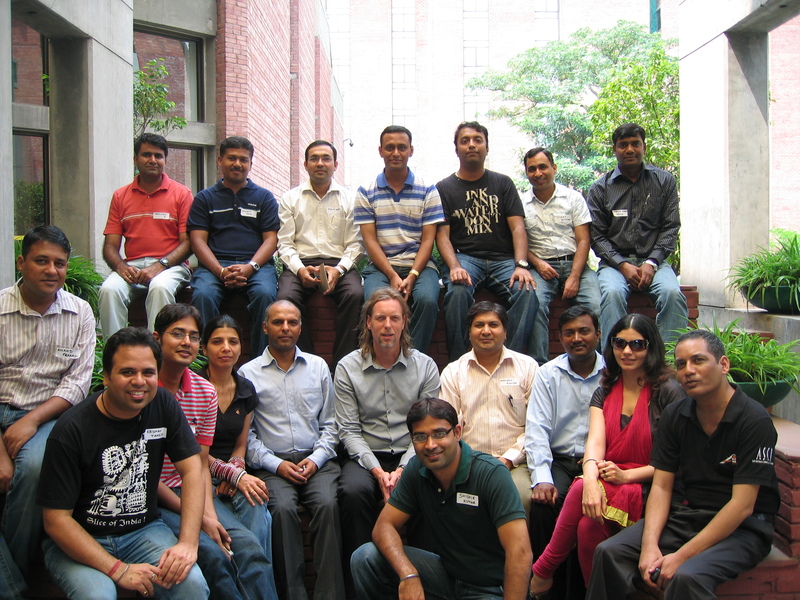 The First CSM training conducted by Inphina and Zilverline in the heart of New Delhi was a success! It was two days of interactive sessions, fun games and learning which kept the participants engaged and motivated. The great part about the training was that majority of the participants attending the training were decision makers. The average experience level of people attending the training was more than 8 years and they were at the levels of VP of Engineering, Project Manager, Sr. Project Manager, Program Managers, Business Analyst, Test Leads, Sr Architects and Sr. Developers. It was good to hear the context specific questions and the answers that were discussed. This was one of the most engaging and thought-provoking group that I have met. I would easily give them an 8.5 on 10. Michael is full of energy and full of knowledge, why wasn’t he in India before? The choice of venue is perfect! I am delighted to be a part of the first training in New Delhi. I have been practicing Scrum for the last 5 years, I was under the impression that I would know everything. I was mistaken. The sessions were very interactive and Michael was giving everyone a chance to speak their mind. It is so different from a typical classroom training that I was expecting. Inphina and Michael would like to thank the participants for being a part of the First CSM training in New Delhi and making it a well deserved success! Wishing all of you a successful Scrum Master’s career ahead.